Mr. Mittal is a global leader with 15 years of healthcare and 20 years of professional and international experience in many countries including USA, MALAYSIA, INDIA and SINGAPORE. Prior to joining eHealthObjects, Mr. Mittal worked as the IT executive at Coventry Health care and managed multiple IT departments including application development, business intelligence, data integration, enterprise architecture and proposals. From 2003 to 2007, Sanjay held the role of Director, IT at Health Management Corporation, a subsidiary of WellPoint. 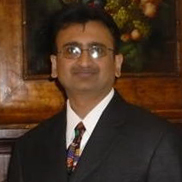 Mr. Mittal holds a master’s degree in computer science (1991) and has a certified chronic professional (CCP) from Health Sciences Institute in partnership with “The Care Continuum Alliance” (2011). 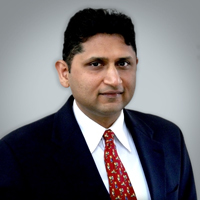 Mr. Mittal is responsible to setting up the overall business direction and product strategy. As the co-founder and the Chief Operating Officer of eHealthObjects, Ms. Gupta is responsible for the appointment of advisory board members, business partnerships, sales and financials. Ms. Gupta is an entrepreneur with 15 years of management experience including 12 years of health care technology experience. Prior to setting up eHealthObjects, Ms. Gupta worked at management positions at many health care companies and delivered enterprise health care solutions for Trigon BCBS, Anthem and WellPoint. 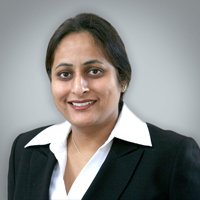 Ms. Gupta holds a Master’s degree in Science (M.Sc.) from MD University, INDIA. As Chief Medical Officer, Dr. Kumar defines the clinical strategy for eHealthObjects. He did his Pediatric residency from Texas Tech University, Amarillo and went on to do Pediatric Endocrinology fellowship at Brown University. He has also been a faculty member at MCV for the last 10 years. He is a consultant for newborn screening at Virginia Department of Health for Central Virginia. He is well accomplished clinician and a respected teacher. He has won many awards as an “Outstanding Teacher” both from pediatric residents and medical students. He is actively involved as a Principal investigator in research protocols related to growth hormone, vitamin D status in children with hemophilia, metabolic syndrome in children with long term cancer survivors. Mr. Coleman is responsible for overseeing the enterprise information & data management for eHealthObjects including the disaster recovery planning, set up and implementation. He has more than 30 years of experience in IT, data management and infrastructure. Prior to joining eHealthObjects Mr. Coleman has held various management positions. He holds a degree in Information Systems from Virginia Commonwealth University (VCU).